Everyone cares about Weather. The perfect Weather app helps you to fully determine how we spend our day. As per the app instructions we can make changes on our working plans, cancel outdoor events because of the weather etc. 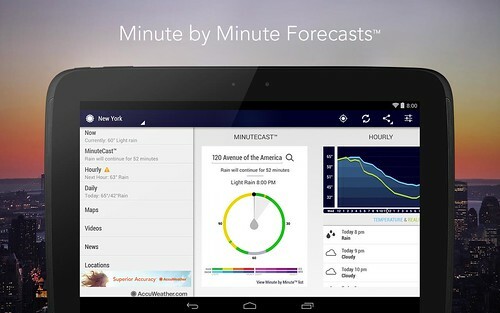 The Weather Channel is one of the most popular and accurate Weather app for Android. 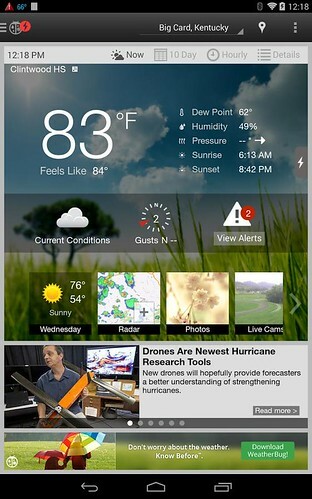 The Weather Channel app offers the best radar maps, local forecasts, & weather news available. The app offers trusted forecasts include hourly, 36-hour, and 10-day forecast options in Celsius or Fahrenheit. With The Weather Channel App and Widgets you can enjoy the best day possible with the most accurate forecast available. AccuWeather could be our first and best in the list of apps but the latest update scaled down functionality quite a bit. AccuWeather comes with minute-by-minute precipitation forecasts for the next two hours hyper-localized to your exact street address or GPS location. AccuWeather forecasts snow, ice, rain, wind, thunderstorms etc. Yahoo Weather, one of our favorite weather app. The app updated recently and changes to a new slick interface. 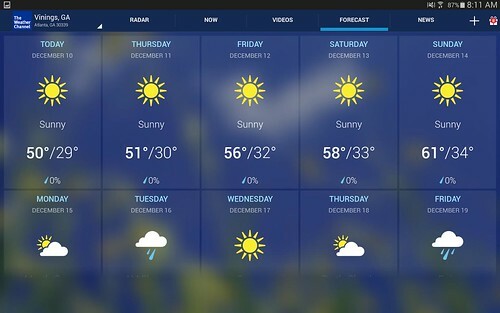 Yahoo Weather brings the most accurate hourly, 5-day, and 10-day forecasts. 1Weather is one of the most loved Weather App in Google Play Store. 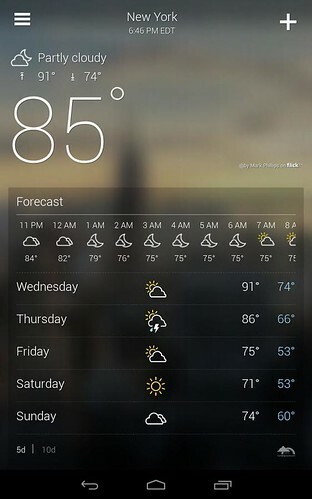 The app is created simply and beautiful interface that makes getting the weather elegant. CNN listed 1Weather app as ‘Top 25 apps you should download right now’. 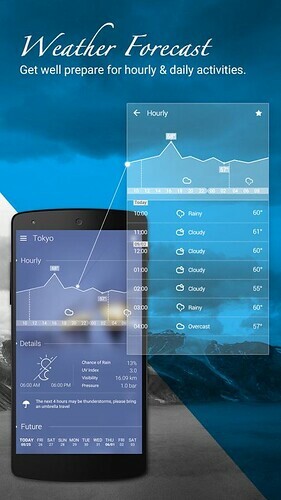 1Weather produces real-time local weather and forecasts worldwide. Go Weather app is used by over 50 million users. GO Weather is really easy to use, perfectly for you if you want to know the weather of current day, coming hours and days. 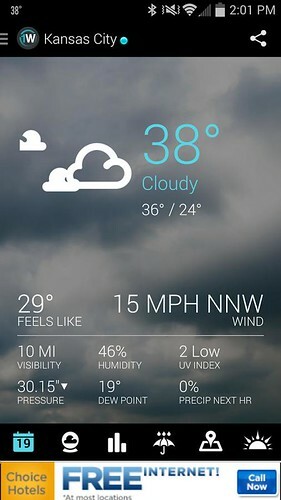 One of the oldest Weather Android App available in the Play Store. WeatherBug brigns you the most accurate current, extended and hourly weather forecasts for 2.6 million locations worldwide.